In January 2016, while patrolling the world’s oceans in search of illegal activity, Sea Shepherd’s vessel the Steve Irwin spotted six targets: the Fu Yuan Yu fleet. After further investigation, they discovered the fleet’s use of driftnets, a banned and illegal form of fishing. Illegal fishing undermines conservation efforts and poses a massive threat to the oceans, with new studies indicating that up to one third of all wild-caught fish imported to the US each year is a product of illegal, unreported and unregulated (IUU) activities. Driftnets pose a direct threat to all marine life. They are too good at catching and killing; seamlessly blending with the environment, they go undetected by marine life like “insidious curtains of death.” When nets are abandoned or lost, they become ghost nets, aimlessly vacuuming life from the sea. Because many nets are made from durable synthetic materials (i.e. plastic), driftnets are capable of generations of destruction. 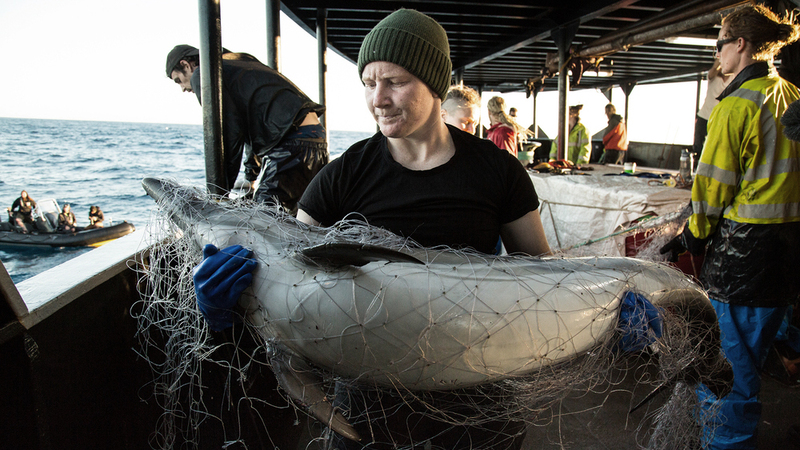 Sea Shepherd has been vigilantly working for 30 years against the use of driftnets. Between 1987 and 1992, the direct action organization launched a number of campaigns to oppose and shut down high seas drift netting. As Captain Paul Watson said, “They were campaigns of intense confrontations. We rammed drift netters and confiscated and destroyed their nets, and with every campaign we focused more and more attention on this incredibly destructive industry.” Finally in 1992, these “massive weapons of devastating ecological destruction” were banned. 24 years later, these deadly means of fishing have reemerged in the Indian Ocean. The discovery of their continued use by the Fu Yuan YU fleet was a black and white case of illegality, prompting a swift confrontation and the abandonment of a driftnet by one of the illegal vessels. Once confronted with the task of removing the driftnet, the atrocity of this form of fishing was revealed. In just 5 kilometers of confiscated netting, Sea Shepherd crewmembers recovered 321 dead marine creatures of 12 different species. The objective became clear: locate the Fu Yuan Yu fleet, document and gather evidence of their illegal activity, disrupt their operations and confiscate their illegal driftnets. And so Operation Driftnet commenced. 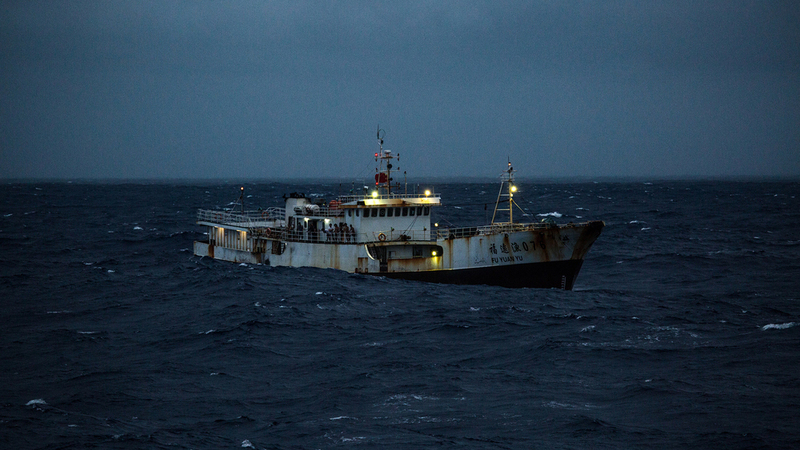 On March 13, 2016, the Steve Irwin intercepted the Fu Yuan Yu fleet, this time engaging in a high seas pursuit of one of the ships, the Fu Yuan Yu 076. The pursuit was a labored effort, as the Fu Yuan Yu 076 made several attempts to shake the tailing of the Steve Irwin. From documented destruction of evidence, to reckless attempts to veer off track, even requesting for intervention from the Chinese Navy, all attempts were stifled through the Steve Irwin’s diligent efforts. On the campaign's 19th day, a high seas chase led the Fu Yuan Yu 076, directly into Chinese port limits. While there was no aggressive action taken, Sea Shepherd was still able to gather clear evidence from the use of video crews and drones to reveal the extent of the Fu Yuan Yu fleet’s illegality. 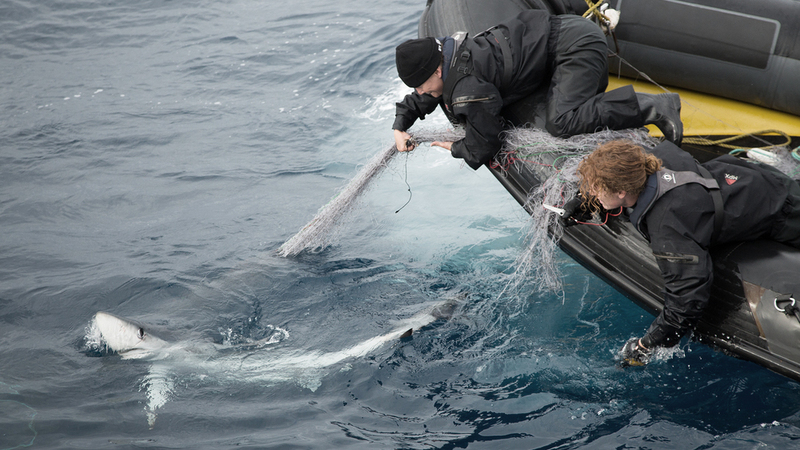 Not only was the fleet caught using driftnets, but also violating numerous international laws. All six vessels of the Fu Yuan Yu 076 were called back to port in early April, after Sea Shepherd reported the activities and supplied evidence to the Peoples Republic of China. Once in port, the government investigation found that the Fu Yuan Yu 071, Fu Yuan Yu 073 and Fu Yuan Yu 076 did indeed engage in illegal activities by using driftnets in the Indian Ocean. The investigation into the other three vessels of the fleet is ongoing. In disbanding the Fu Yuan Yu fleet and recovering driftnets from the high seas, Sea Shepherd displayed the power of direct action and international cooperation in defense of vulnerable marine life. The success of Operation Driftnet has saved the lives of an estimated 100,000 sharks and an equal number of animals from other species. With the conclusion of the Operation Driftnet campaign, Sea Shepherd has once again filled an enforcement void in the high seas by shutting down a fleet of six ships that were knowingly exploiting international loopholes. Follow Sea Shepherd's Facebook and Twitter pages for real-time updates.